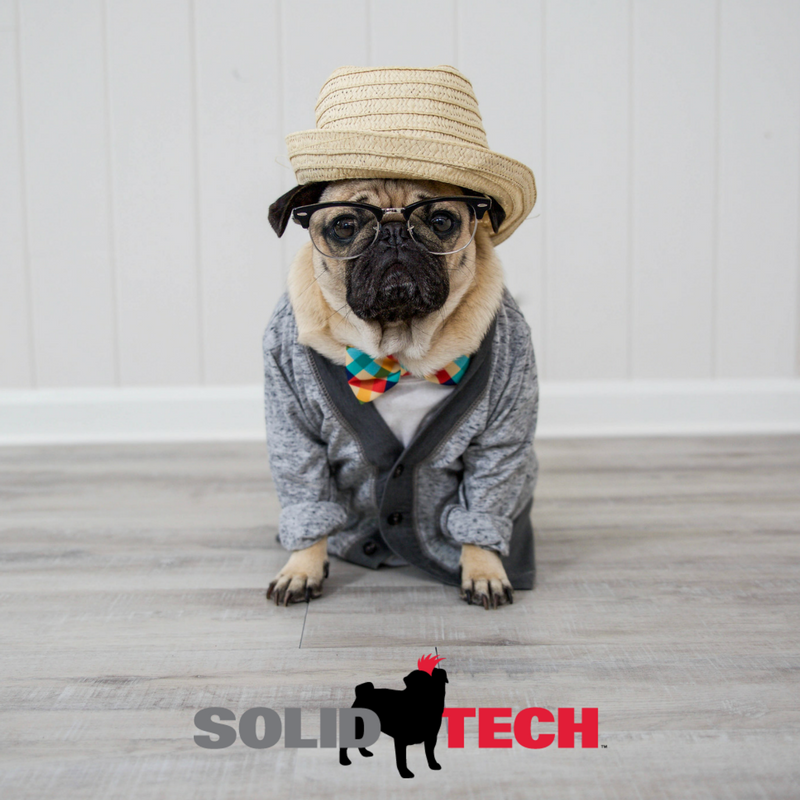 That’s why we innovated SolidTech to solve the consumer’s problems (waterproof, pet-proof, odor-proof, durable, etc.) as well as your issues and hurdles as a retailer. Quicker Installation. Because Solidtech is rigid, it requires less floor prep and installs up to 30% faster. UniClic Multifit installation technology provides true ease of installation. Fewer call-backs. Because of SolidTech’s performance and durability, you'll get fewer callbacks, fewer claims, and fewer hassles. More natural look. SolidTech’s exclusive design aesthetics offers gorgeous distinctive premium floors for every customer, no matter their style preferences. Plus, Doug the Pug is the cutest. Learn more about SolidTech on MohawkToday.com!